On this Aspie Recipes post, I am going to try out a new cooking tool! 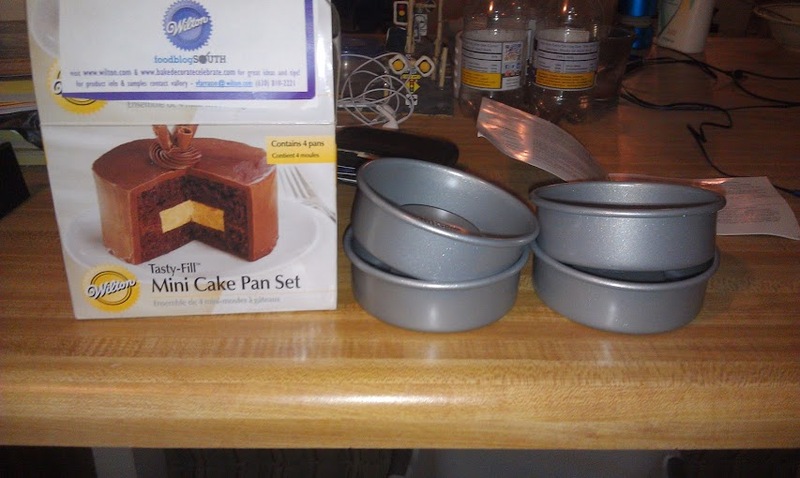 When I went to a blog cooking conference a while back, I got this Tasty-Fill Mini Cake Pan set. The set from Wilton comes with four mini cake pans. But the special part was the middle was raised, which means you could add something special in the middle! 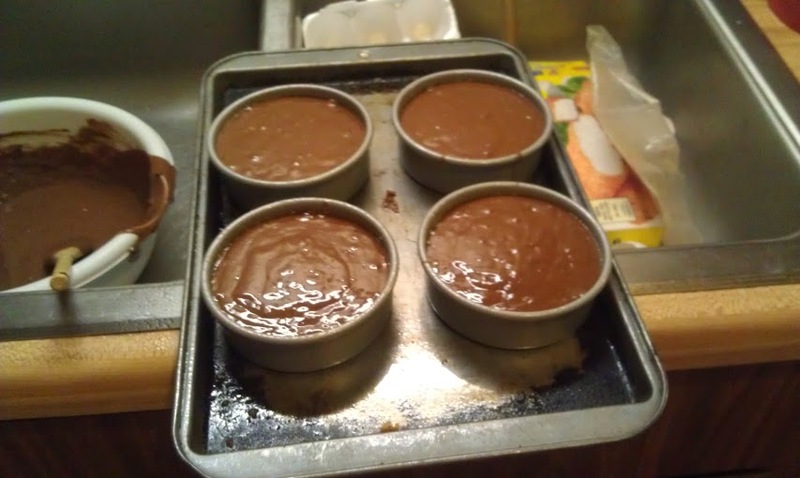 So, I tried out these cake pans for the first time, and they worked great! I also tried out a recipe in the instructions book that came with the cake pans. 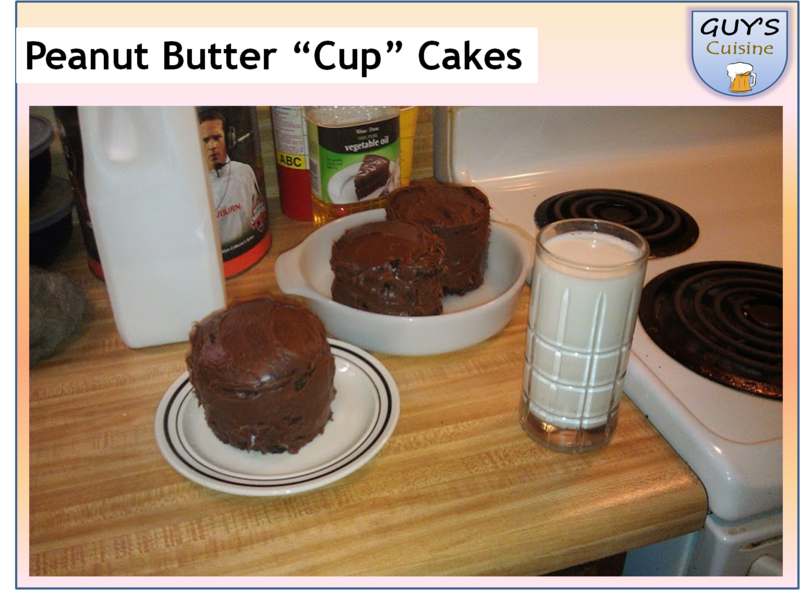 So, what to know how to make a peanut butter “cup” cake? Here’s what you need! 1. 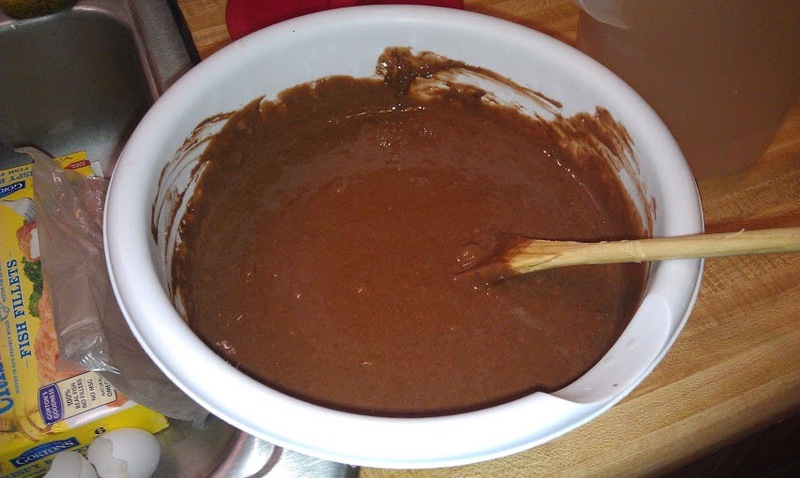 Combine the devil’s food cake mix, water, oil, and eggs in a large mixing bowl. Preheat oven to 350 degrees. 2. Spray the cake pans with cooking spray! Add batter to the cake pans and fill up to 2/3rds full. Place pans on a baking sheet, and put in 350 degree oven for 18-20 minutes. Check with a toothpick to see if it’s done. 3. Let cakes cool completely and remove from cake pans. 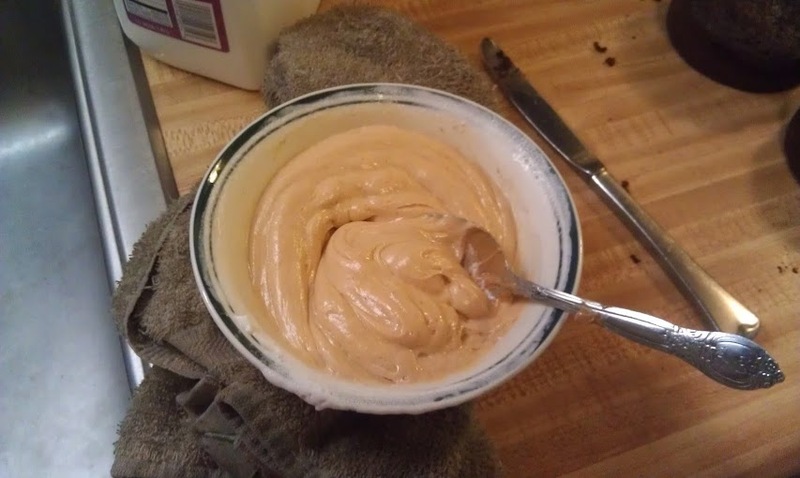 In a separate bowl, combine peanut butter, whipped cream, and milk, and mix well. 4. 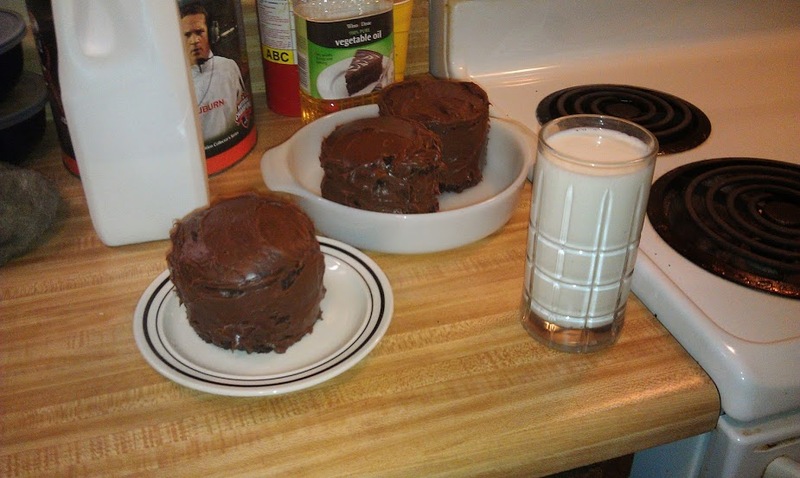 Turn cakes over where the hole is upside. Add the peanut butter mixture to the holes. 5. Flip one of the cakes over on top of a cake to form a two layer cake. 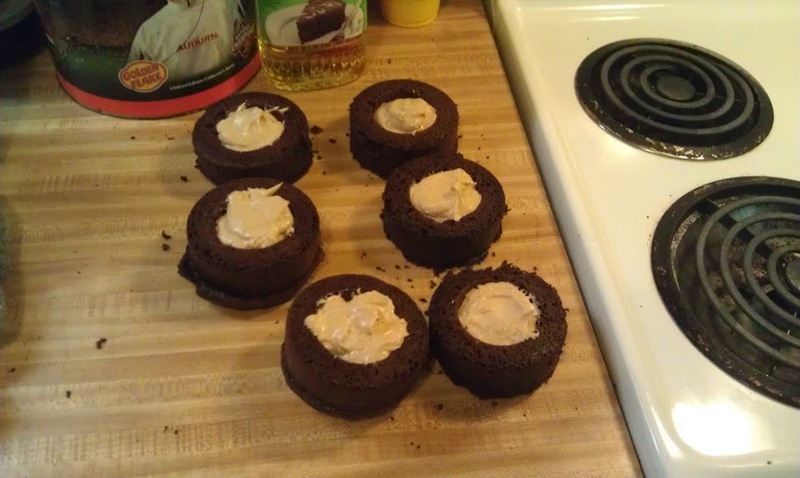 Frost the cakes with chocolate frosting, then place in fridge to let the peanut butter mixture firm up for 30 minutes to one hour.